Summary of this volume: The Institute of Engineering Science, UB RAS, pursues interdisciplinary research in material science, technology of metals and other materials, mechanics and simulation of processes and objects, nondestructive testing and prediction of the lifetime of products and structures. Since 2001, in cooperation with partner institutions, the Institute holds conferences within this scope. The central line of this conference series is an interdisciplinary approach to achieving longevity and predicting residual life on the basis of mechanics, material science and nondestructive testing. Scientists from Norway, Finland, Ukraine, Russia, India, Austria, Belarus, China, Lithuania, Bulgaria, Morocco, Slovakia, Slovenia and Israel took part in this 12th conference. The interdisciplinary approach to the presentation and discussion of investigation results attracts the attention experts from various countries and various fields of knowledge to the discussion of the issues of longevity and predicting the service life of materials and structures. 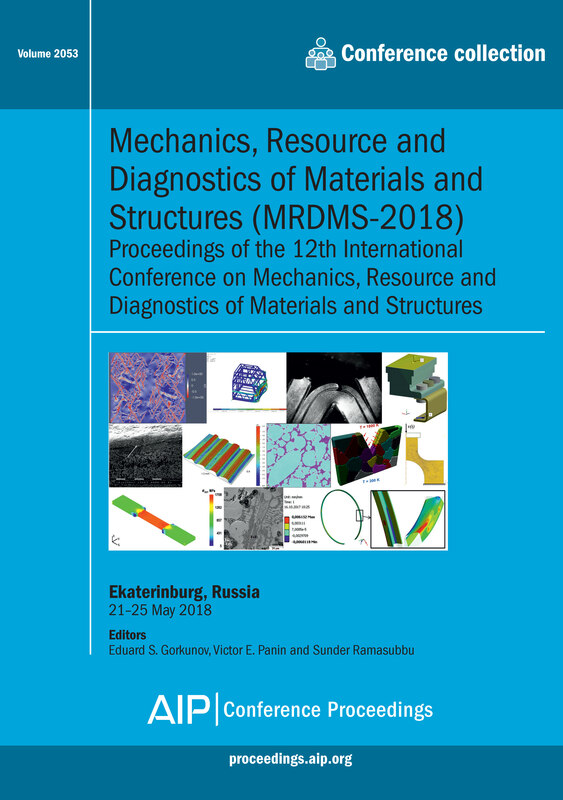 These proceedings will be of interest to: PhD student and their professors who are involved in the study of mechanics of materials, material science, nondestructive testing and materials design. For further information about this volume: Please view the table of contents available on AIP Publishing's Scitation platform: Volume 2053 table of contents. Copyright 2017 AIP Publishing LLC. All rights reserved.